This week the Royal Academy of Engineering (RAEng) revealed the eight UK university projects it is backing through its Enterprise Hub. As well as being judged on their potential to make a social impact, the technology projects are also assessed for their viability as businesses. Among the 2016 crop is a robotics startup founded by University of Edinburgh PhD student Alexander Enoch. 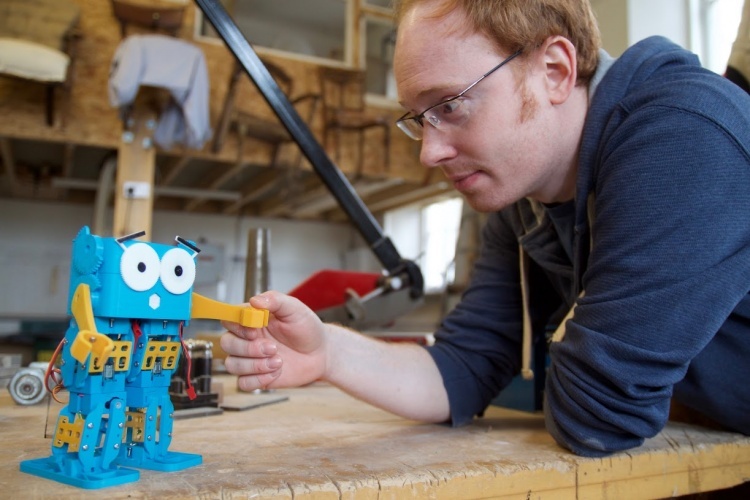 With his company, Robotical Ltd, Alexander hopes to create a programmable 3D printed robot that costs less than £100 and can be used in schools to teach young people about engineering and coding. The Student Engineer caught up with Alexander to ask him about the project, how he got involved in robotics, and how the RAEng will help him transition from student to entrepreneur. Robotics is one of the most exciting areas of technology growth today, but was not as prominent when you started studying it back in 2004. What led you to choose it? When I was choosing what university to go to, there weren’t many offering robotics courses, and it was a tough decision for me to choose between the relatively safe option of computer science or the more nebulous subject of robotics for my degree. I had always been interested in robots, and I think robotics is a great example of how many aspects of engineering can all come together to make a complex system. I didn’t have many opportunities to actually play with robots before going to uni, but there was a subject at school called Technological Studies (I think it’s now called Engineering Science) where we actually got to program some Fischertechnik kits, and make things move about in the real world. I really enjoyed being able to do more hands-on stuff, and there’s something inherently fascinating about making something that moves around in front of you. It seemed like robotics was an area that was only going to grow, and so I took the plunge and went off to study robotics. Your new company Robotical has just received funding from the RAEng’s Enterprise Hub. How did that come about? I’m very grateful to have been awarded an Enterprise Fellowship from the RAEng, which funds me for a year while I get the company off the ground. When I applied I had been working on the idea for about a year, and had a functional prototype, a pending patent, and an idea of the market and how I would get to it, which must have been enough to convince the RAEng. I think also my motivation – to try and get more young people interested and engaged with robotics (and science and engineering in general) – gelled quite well with the academy. Why have you focused on bipedal walking robots? It was the area that I did my PhD on, so I had some understanding of the underlying difficulties and how they might be addressed. 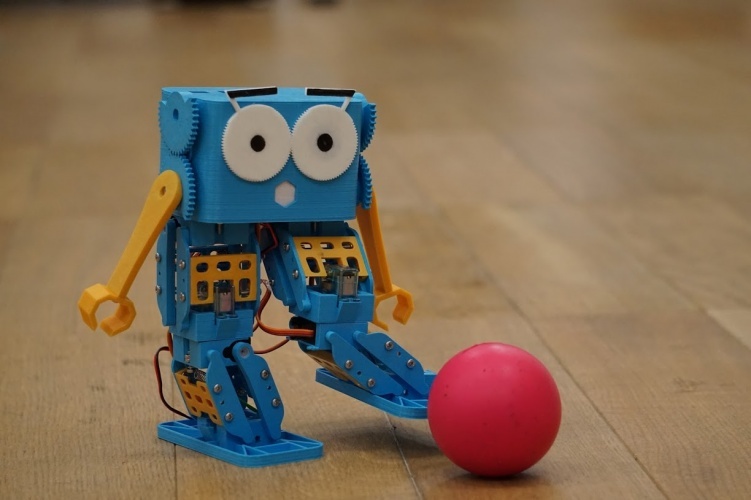 But for an educational robot I think it’s really important to make something that captures the imagination and is instantly engaging – and for whatever reason bipedal robots seem to do this better than wheeled robots. They also allow the demonstration of some more advanced aspects of robotics, if you want to go that far! How will your design help keep the cost of the robots down? How does your robot teach programming skills? Rather than trying to enforce a proprietary programming environment, we make it easy to use real, standard programming tools to work with the robot. You can start just by remote controlling it over WiFi, and then programming graphically in Scratch, which just involves putting together blocks to build a program. Crucially though, when you’re ready, you can move into Python or C++, and get stuck in with traditional programming. I’ve already used the robot to help introduce kids as young as 9 to Python, and it’s a fun way for them to learn about the language while they also get the robot to do more and more interesting things. How important is it for young people to learn how to code in tandem with gaining practical engineering knowledge? There’s already a shortage of engineers in the UK, and with automation becoming more commonplace it’s really important that young people are given the opportunity to get engaged with as many aspects of engineering as possible. Service and consumer robotics are rapidly growing fields, and we need more people with the skills to implement these machines – and in general with a basic understanding of how they work. 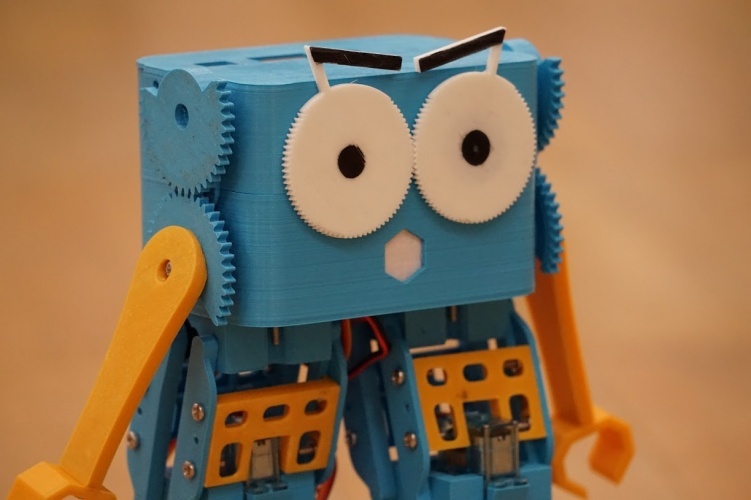 Robotics isn’t just programming, and we’ll encourage our users to get involved with sensors and electronics, as well as actually changing the hardware of the robot – either through implementing a customisation that someone else has made or ideally by designing and 3D printing something of their own. It’s fantastic that there’s a huge push right now to get more kids coding, and I think that ideally it needs to be complemented by also finding as many ways as possible to get them thinking about physical engineering. What are the next steps for bringing your idea to market, and what role will the RAEng play? We will be launching the product on the Indiegogo crowdfunding platform in May to raise funds for manufacturing the first batch of robots, with a target shipping date of early 2017. If you want to be notified when we launch the crowdfund you can put your e-mail address on the list at www.robotical.io. The RAEng are instrumental to the plans, because they let me work on the company full time, while also providing guidance, opportunities, and access to great mentors and the enterprise hub network. Going from doing a PhD to running a company is a big change, but the RAEng fellowship makes it a lot less scary, and a lot more likely to succeed. Great idea, great effort, great description of where Alexander is coming from and where he is going: win-win-win-win! My only caveat is as always his perceived need to spend money, much more valuable on enhancing his R&D and his initial efforts in design and development, in ‘patent’ protection. Here is surely a classic example of the need to completely alter the ‘system’: if as the CIPA (patent agents Trades Union?) assures us (each time the Engineer gives them a forum to do so) that patents are essential to success let them take a ‘share’ in the start-up (just as crowd funding partners do) and achieve their REWARD(S) WHEN THE PROJECT IS REALLY UP AND RUNNING-like the other ‘investors’ hope to do. Someone, perhaps a patent agent, please tell me the objection to this idea and ideal? HS2, Northern Powerhouses, [Southern powerhouses for that matter] New nuclear stations (based on new technology) are all speculative and all need the ‘we’re all in this together’ idea before we all (the Nation) benefits. All except lawyers it appears.